By now you might have heard a lot about Insights OGP-2018 program. If you haven’t heard, please read the below article carefully. In this article we are going to be very honest and straightforward. And it’s going to be very lengthy one – please read with patience. As an institution, we want to attract best students. Only by delivering results, we will grow as an institution. To deliver results, we need smart, dedicated, faithful, disciplined and working students. Equally, we need a dedicated team and conducive environment to guide these students. Being smart and hard working will not bring success when you are not working in the right direction. When you don’t have guidance, even if you are a brilliant student all these years, success will be elusive to you. As an institution, we want to focus more on this aspect – The Guidance part. A good guidance can do wonders. If you are dreaming to become an IAS officer, you definitely need a guide. It’s precisely this – the guidance – in which we, Insights excels best. Apart from guidance, we will keep pushing you day and night. We have telegram groups, where we constantly remind you to give all tests. We constantly remind you that it’s a competition where you need to step out of your comfort zone and push the limits. As an aspirant you need motivation to stay in this race. It’s easy to give up sometimes. In difficult times you need a mentor to support you and show you the way ahead. As a team we are doing this to our OGP-2018 students on a constant basis. We push them a lot, even when they don’t ask for it, or don’t like it. In 2019, we are expecting spectacular result from OGP-2018. Results will speak out very loud, why this program is unique. And remember, most of the students in OGP-2018 are freshers. They will show, through their sheer hard work, what guidance, competitive environment and constant motivation can do to them. Before you expect us to provide details of OGP-2019 program, let’s briefly highlight what has been our and students’ experience for past 9 months in OGP-2018. These are honest views based on honest reviews from OGP-2018 students. In OGP-2018, we provided our students consistent tests strictly according to the timetable. Many a times, we have given them extra tests as and when required. As faculty was around all the time, they got access to mentors round the clock for evaluations, general guidance and motivation. We focused more on freshers. Many of them who passed out in 2017 and directly joined OGP are doing extremely good thanks to constant push given by the faculty. Monthly revision tests, weekly prelims tests were evaluated on time and results were displayed publicly. This has created a highly competitive environment at OGP. Everyone who is serious has a target in mind when it comes to tests. They want to improve their scores, or beat the top score. Some get demotivated, but we are constantly pushing them to do better. We understand that everyone is not similar – each student has her/his own speed and aptitude. We are pushing them based on persona understanding of their abilities. As per timetable and the plan, we conducted all classes with a test. Test discussions were held in and outside classes by students. Through these interactions, they have created groups among themselves. These groups are very competitive and we expect many members from these groups to get excellent ranks in CSE-2018. The best thing about OGP is the presence of reading room just below the classroom. You have access to classroom, discussion rooms, faculty and tests within few minutes. There is no distraction of any kind. All you have is scenes of students either discussing tests or studying seriously in and around the institute. This alone is enough to motivate you to silently go to your cabin and make you study without wasting your time anywhere. We have created mail and telegram groups where problems are solved instantly. We have considered feedback by students and have vastly improved quality of various aspects of OGP-2018. As it was our first full fledged program, there were few changes in timetable as we had to accommodate more topics. We had to do ethics classes, answer writing and essay classes (which were not there originally). We conducted extra classes to motivate whole class to write regular tests. It has worked and we are confident that, as stated above, results are going to be spectacular in 2019. Now coming to OGP-2019, what to expect? Why is it a different and unique program? We learn fast from our experiences. Based on OGP-2018 experience, we are going to make OGP-2019 the best an aspirant can get. You will get a comprehensive timetable for June 2018 to September 2019. This timetable will include everything you need to crack this exam. We will not be amending this timetable until you give Mains in 2019. 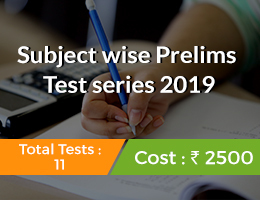 In this timetable, you will find that there will not be any conflict between classes and prelims test series schedule; you will see inclusion of all prelims and mains related topics getting covered before Prelims – 2019. Giving a timetable is not a difficult task. Following it – both by you and us is the difficult part. We will stick to it no matter what happens. At the same time, we will keep forcing you to follow it (with minor modifications as per your standing in the competition). OGP-2019 will be a test based program. Before the class, you will give a test. After the test, teacher will discuss questions and answers, followed by coverage of that day’s topic. You will be given an exhaustive list of sources for pre-reading. You must come prepared. This pre-reading list will be fully synchronous with that week’s Prelims test syllabus. Every Sunday you will have a Mock prelims full length exam. This is compulsory for all. Its result is announced very next day where you will come to know your ranking. You can compare your OGP ranking with our online ranking (where thousands of students give these mocks). Here at Insights, you have realistic tool to assess your standing long before you give actual exam. After every result, you will know where to improve. You can contact faculty to correct your mistakes too (subject wise). The most important feature is ‘not giving up on you’ by Insights faculty. We keep reminding you about the competition. Ready access of faculty is the hallmark of our program. Get an appointment through online (yes, we have that mechanism), without waiting much, you can get answers reviewed or have a general chat with faculty. You will have very disciplined and streamlined approach to UPSC civil services exam preparation. Many brilliant students fail due to lack of discipline in their exam preparation. They keep changing plans. They make unrealistic plans and end up not following them. As most of our OGP students are following a single strategy, we are sure that they will reap benefits this year. In OGP-2019, we are going to formalise group discussions and debates regular and engaging. In OGP-2018, group discussions were informal due to many factors – mismatch between freshers and veterans; mismatch between those who had completed optional and had not completed optionals etc. 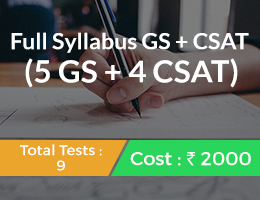 This program covers Prelims test series and classes (Both GS-1 and CSAT), all Mains General Studies Papers tests and classes (including Essay and Ethics), Interview guidance, Mains Test Series (including core batch exams). 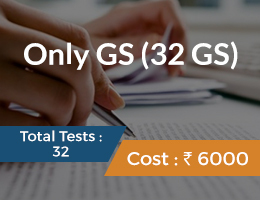 You will be writing more than 250+ various tests during the course of OGP-2019. Who should apply for OGP-2019? Who do not expect us to spoon-feed them everything. She/he should be able to learn most of the things on her/his own. We are here to train you hard by relying on your strengths. Here, your strength should be to do self study most of the times. This doesn’t mean we don’t take classes. We do cover all important topics in classes, but to understand and to make sense of them, you should have basic knowledge. Also, everything can not be taught in class. You should learn many things on your own. We want FRESHERS who have done preliminary preparation such as reading NCERTs, The Hindu and Optional subject. It’s these freshers who can be guided better. If you are someone day-dreaming all the time to become an IAS officer but haven’t done any basic preparation, please do not apply. If you are someone who has talent, but haven’t figured out why you are failing in Prelims or Mains, OGP will guide you how to cross these barriers. And we want students who have completed (at least 70%) their optional subject. Optional Subject – The tricky part! In OGP-2018, the big problem we faced was managing the optional subject. Many students came with no optional preparation. It was extremely difficult for them to manage both optional and OGP program. We included optional in our plan (weekly tests, group discussions), but optional subjects differ from subject to subject – Mathematics demands 4-5 hours of regular practice, Law, sociology and PSIR optional students need someone to guide in theories or answer writing on regular basis, optionals like Philosophy, Medical Science, and engineering subjects need large groups and expert guidance. In case you want to be part of OGP-2019, you have 3-4 months of time to complete optional subject and join our program. Don’t join OGP-2019 without completing minimum 70% of your Optional subject. Period. Join online classes, or a coaching, or do self-study – but complete your optional subject before joining OGP-2019. This doesn’t mean we don’t guide you for optional here. We do guide for all optionals, but what we guide is regarding answer writing etc. 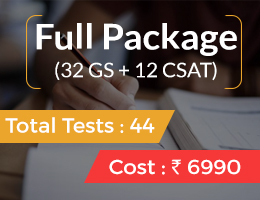 We don’t teach optional in OGP( But, we will provide test series for optionals such as Anthropology, Kannada Literatures, PSIR, Sociology etc) Also, it won’t be possible for you to prepare optional with OGP. Our program will be biased towards general studies papers. As we saw in Mains – 2017, it is General Studies papers which will decide your rank. We request you to apply keeping in mind above message. In case you badly want to join, have a proper plan for optional and join OGP. We will still guide you, but you should do the self-study and never complain that optional is affecting progress in OGP! We don’t expect extraordinary things from you. All we expect is few small values from you that ultimately help you. Smartness, but not over-smart attitude. Being a better human – sharing, caring and at the same time being competitive. We also want students who are sincerely following our website for past 1-2 years. You will have better idea about our approach and philosophy. From April 12th, 2018, we will start interviewing shortlisted candidates. If we are satisfied that your responses in the application are genuine, we will give you a call. Through few questions and interaction, we will ascertain your seriousness. We will also cross-verify if your responses in the application were genuine or not. If satisfied, within a day from telephonic interview, you will get a confirmation email from us for admission into OGP-2019. You will have to pay full fees and confirm your candidature. We will also maintain a Second-List. In case we don’t get suitable candidates, we might call candidates in the second list after Prelims-2018 i.e. June 3, 2018 onwards. If you are selected for OGP-2019, we encourage you to move to Bangalore and start preparation. It’s optional. You may come after Prelims as well. If you come early, we will guide you how to go about your preparation. Before the program starts, we want to interview once to know your level of preparation and guide you further. Note that this happens only after your selection. Not doing well in interview doesn’t mean you won’t be admitted to OGP-2019. On April 11, 2019, we will give broad outline of timetable that we are going to follow for OGP-2019. To all selected candidates, we will share Detailed Timetable on May 20, 2018. 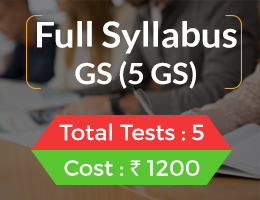 This timetable will have all details (tests, classes, debates, discussions, books, sources, essay classes, ethics classes, answer writing sessions, core batch exams, etc) As it takes at least a month to prepare a comprehensive timetable, we will share it with OGP-2019 students from May 20 onwards. As written above in the article, we don’t want to change anything in timetable once it is prepared, hence we need more time to prepare it. We will start classes from July 1, 2018. To select the best and guide them what to do during next 3 months, especially with regard to Optional preparation. We believe that Optional is going to stay till CSE-2020. Hence, without any second thoughts, you should complete optional preparation by end of June 2018. Getting an early admission also helps you to focus on preparation. You will have a target of either completing Optional or NCERTs before joining classes. What about those who are appearing for Prelims – 2018? 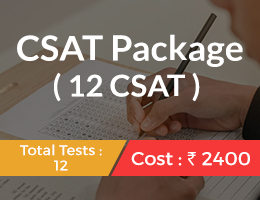 Whatever information we have written above is most relevant to aspirants who are going to appear in CSE-2019. In case you are appearing for Prelims-2018, you will still have time till June 15, 2018 to apply for the program. For now focus on Prelims without worrying about OGP-2019. If prelims goes well, forget OGP. Unfortunately if it doesn’t go well, you may apply for OGP-2019 (we sincerely hope you do well in prelims though). What about those who are in final year/semester of college? If you are going to graduate by June 2018, apply for the program now itself. You may opt for online optional classes. Regarding choosing optional subject, we will guide you once you are selected. As of now, keep reading NCERTs and The Hindu. There is no entrance exam for OGP. But we will be considering Optional subject preparation and NCERT preparation bit seriously. Of course, your application and interview (telephonic) will be the deciding factor. In case you had applied for OGP-2018, and had missed it. We will be giving priority to you based on what you have done during these 9 months. We have the best infrastructure in this sector. We are coming up with lots of reading rooms and space for discussions. Our classrooms are designed to stimulate you to study all the time without any distractions. You may visit and check for yourself. We are certainly increasing number of intake. At the same time, proportionately we are building infrastructure and hiring more faculty. You will not see dilution in quality – either in infrastructure and guidance. Details of Fees will be communicated to selected students in the confirmation mail. Fees is very less than what you pay for six month course in Delhi. And OGP program runs for more than 15 months! Believe us, you will NOT REGRET paying full fees. You may even feel you paid less and got more here. Opting for reading rooms is optional. You will have to pay monthly separate fees for reading rooms. Course fees doesn’t include reading room charges. You may choose to study from your room in case you are not comfortable studying in reading rooms. Since December 2017, we have received thousands of mails and calls for admission into OGP-2019. We want the process to be fair. If you are in Bangalore and still in dilemma, visit our centre and speak to OGP-2018 students and learn about the program firsthand. We, ourselves can boast a lot about this program, but we believe that students who were part of the program are the best judges. Insights puts interest of our students before anything. We travel extra mile to push our students towards success. We sincerely believe that only through your success, we achieve our success. Hence, there is no place for complacency or arrogance here. Once enrolled, you are part of Insights until you achieve success.